We can either share your day as your hosts passing on our experiences or fade into the background and let you enjoy the luxurious surroundings you will find on board our Princess V48 Motor Boat. Just let us know whatever you need and we will endeavour to provide it. This is your day and we want you to enjoy it to the full, whatever your preference. One thing we are unable to plan for is the weather. We therefore suggest that you come prepared for any changes. It can feel cooler on the water than on land so therefore a light fleece and waterproof jacket are recommended. During the warmer days of summer, please feel free to bring your swim wear and a towel. Sun cream is a must, although if you forget, we have supplies on board. Sunglasses are essential as the reflections from the water can be strong even when the sun is not shining. Sensible footwear must be worn, so please no stiletto shoes! Non-marking sole shoes/trainers or deck shoes are recommended. Please feel free to bring along cameras/video recorders to capture your day on film. William McGibbon the skipper of Happy Bunny is a commercially endorsed Yacht Master and spent many hours of his youth sailing the Scottish waters. He gained 12 years of experience at the helm, enjoying many race days on the Clyde. William was born in Gourock on the West Coast of Scotland and spent many hours of his youth sailing the Scottish waters. He gained 12 years of experience at the helm, enjoying many race days on the Clyde. 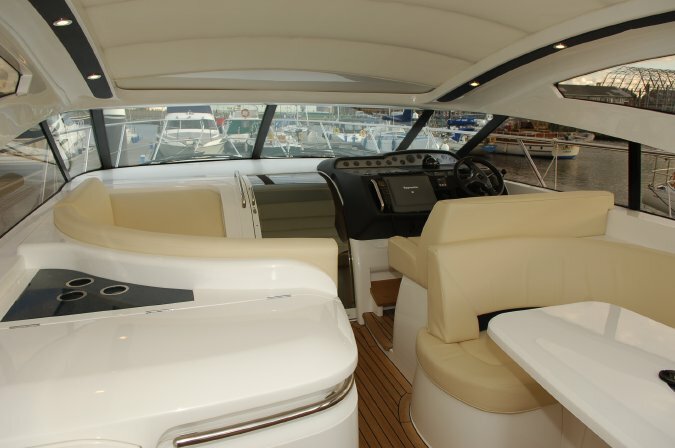 Having relocated to Kent 10 years ago, his love for the water was rekindled after a visit to the Southampton Boat Show in 2003 and a change of heart from sail to power. William the skipper of Happy Bunny is a commercially endorsed Yacht Master and has an enthusiastic approach to life on board, who likes to share his knowledge of the technology and mechanics of the boat with those guests who want to learn more. Karen, his wife, was born and raised in Kent. Her role on board is as chief deck hand, where she takes charge of the lines, fending off, anchorage and the responsibility of safety officer. A woman of many talents, she is also the cook, cocktail waitress and chief bottle washer! 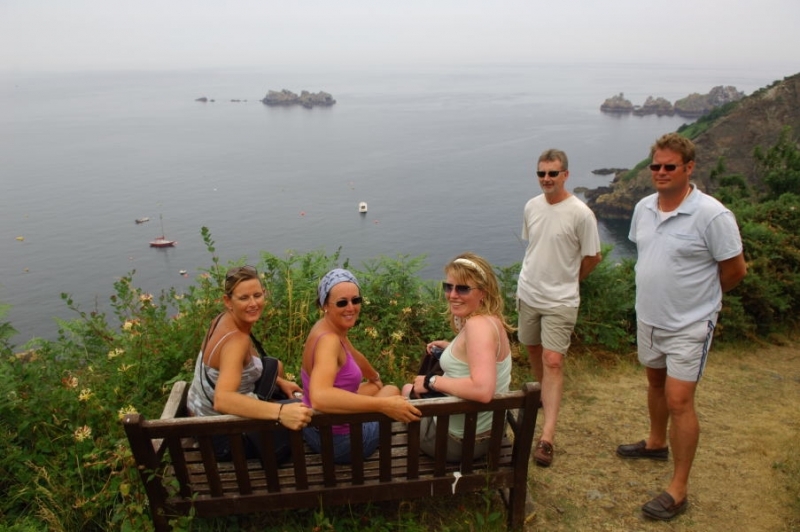 Together, they have enjoyed many hours afloat, experiencing the waters of the South and East Coasts, Belgium and the Channel Islands. Their passion for the sea and life aboard is something they love to share with others. As your crew and hosts, they thrive on making others happy, through the high standards they set themselves and their focus on every little detail promises to make your time on board a truly memorable experience.